A new service that enables Forex traders to discover which trading platform to utilize for their trading practices has been recently launched. ONTARIO, ONTARIO, CANADA, October 18, 2018 /EINPresswire.com/ — A new service that enables Forex traders from all over the world to discover which Forex trading platform to utilize for their trading practices has been recently launched. The revolutionary and first-ever social FX monitoring service, titled FXBrokerFeed, assists traders in discovering which Forex trading platform is deceptive and which one is reliable and safe to trade in, based on social proof and wisdom of the crowd. The official website is www.fxbrokerfeed.com and is welcoming traders who want to get to know the service better. FXBrokerFeed was designed by a team of developers, sharing a common passion for Forex trading. The main idea behind the service is to make sure people who are interested in investing their resources and hard-earned money don’t make a mistake by choosing untrustworthy and fraudulent Forex trading platforms. The way FXBrokerFeed gathers information about which Forex trading platform is deceitful and which is genuine is by monitoring social networks and providing information on what real traders are saying about each broker in real time across all major social media networks, including Facebook, Twitter and more. FXBrokerFeed provides the traders with detailed live reports that include mentions, comments, shares and influencers. By displaying such information on Forex brokers from all over the world, traders can make a calculated decision on which Forex trader to focus their attention and resources. 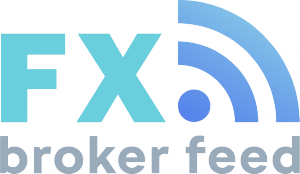 “With our social media automation tools, we can provide you with a real, non-biased, and updated picture of what other professionals think about the top FX brokers,” says the team behind FXBrokerFeed. The service is welcoming its first clients who will get access to real information, reviews from real customers, huge selection of brokers to pick from and monthly and on-demand reports. To celebrate its launch, FXBrokerFeed is also offering a free 7-days trial period for guests who will have the benefit of all website features and functionalities. No credit card information would be required for traders who want to test the service, before purchasing the premium plan.